Yesterday I had one of the most incredible runs of my life. Before I could get started, I needed to run by the drug store and print some pictures. I went to a Rite Aid that is just a few blocks from the hotel. The plan was to drop off the pics and pick them up in an hour or so. I took my memory card and ordered the digital prints. Before I finished filling out the paperwork on my order, they were done printing! I asked them to hold the pictures and I would pick them up after my run. 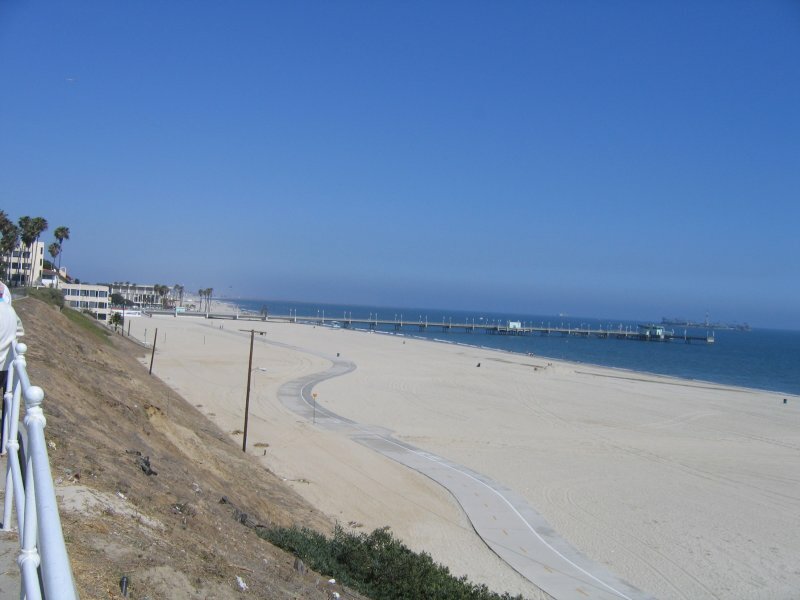 I then left the pharmacy and headed down Redondo Street in Long Beach towards the water. It was an enjoyable 77 degrees. It was about the normal temp that I run in back home, but this was refreshingly different. The two biggest differences were that I was running at 3:00 in the afternoon and it was only 77. Also the humidity was only 50%. We normally would have 100% humidity on my early morning runs. The lower humidity actually gave me chills at times during the run. Some time was lost due to the fact that I had to wait to cross many streets. In my morning runs here I have been able to run right through most intersections because there just isn’t much traffic in the morning. Not so in the afternoon. I also spent some time taking pictures. I felt like Adam Tinkoff. When he does his program, you more often than not hear him stopping to take pictures. It took about 20 minutes to arrive at the beach. I was at Shoreline Drive and Bluff Park when I went down to the beach. 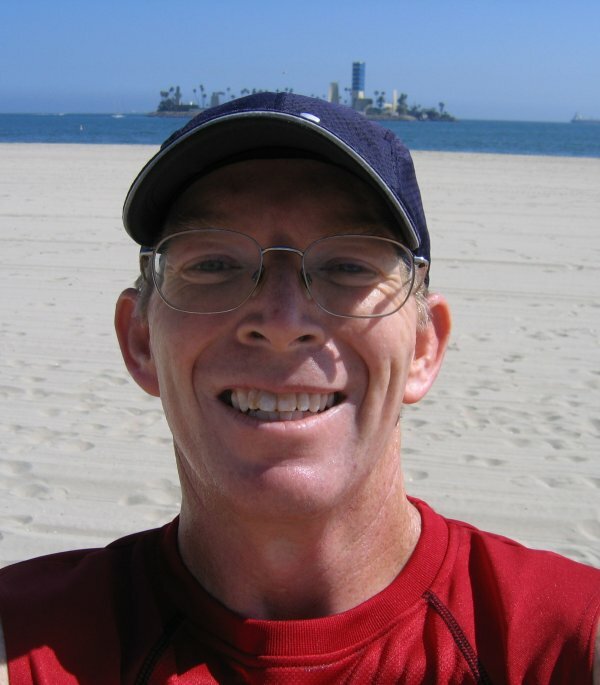 I ran back towards the main downtown area of Long Beach on the concrete path. I knew I was getting close to everything, but did not realize how close I was to all the beach attractions until today when I was down at the Aquarium. I then turned around and ran down to the water and back towards where I started. I ran under the long pier in the photo and then came back up to Shoreline Drive. I spent probably 20 minutes down there and then headed back to Rite Aid to get my pics. When I handed the man my money, it was soaked. I apologized for the wetness of the money. I am sure he has seen it many times. People go to the beach with money in their pockets and come back all wet. I am not sure he realized that the water was not ocean, but sweat. The bills dripped. It was kind of disgusting. My time was 1:11:00 for a 10:38 pace per mile. That is a great pace for that distance for me.